A volcanic ash plume at 10,000 ft (3 km) altitude and extending 40 nautical miles to the NW was repoerted by Darwin VAAC Monday morning based on satellite data. 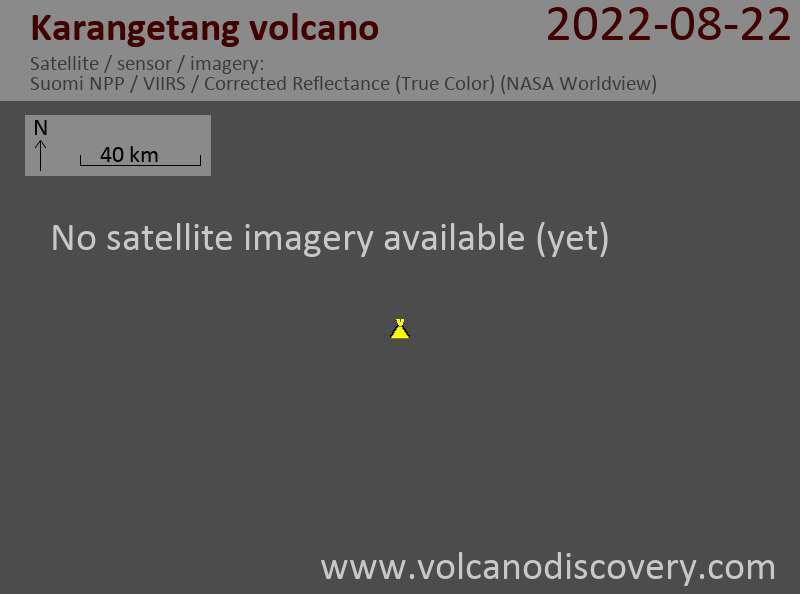 This could suggest a small eruption occurred at the volcano. Incandescence from the lava dome was observed at night. Seismicity remained high and was dominated by shallow earthquakes from lava-dome growth and avalanches. The Alert Level remained at 3 (on a scale of 1-4). It seems to have been a short-lived and relatively small event that did not form the feared pyroclastic flows (which Karangetang is notorious for): avalanches of gas-rich fresh lava that detaches from the dome and/or lava flows and turns into devastating hot turbulent flows that can reach many kilometers distance.